Pigmentation is where the skin becomes more intense in colour and this can be uneven. It can often be quite difficult to treat, but there is help. Pigmentation can be caused by contraceptive hormones, pregnancy, some medications, solar damage and also post-inflammation. The post-inflammation pigmentation can occur after trauma or other things such as acne, dermatitis and infections. Pigmentation following inflammation is especially a problem in people with darker skin types. There are many agents available to try to lighten pigmentation. These include topical treatments such as niacinamide, kojic acid, azelaic acid, retinol, glycolic acid and hydroquinone. Some of these are available as a cream that you would use at home whilst others are available as a chemical peel performed in a doctors surgery. For some pigmentation, a pigment reduction laser can be used. Remember the most important treatment for pigmentation is to stay out of the sun and wear sunscreen. Hydroquinone is a skin lightening agent used for the treatment of pigmentation such as melasma (chloasma), freckles, age spots and post-inflammatory hyperpigmentation. It inhibits an enzyme in the skin involved in pigmentation production (tyrosinase). It can be purchased over the counter at strengths of 2% in Australia. Higher strengths though, are often required for treatment success and these concentrations require a prescription. How Long Does Hydroquinone Take To Work? Hydroquinone can take about 4 weeks for you to start to see any change in pigmentation. It is usually used for a minimum of 3 months. Are There Any Side Effects With Hydroquinone? There are side effects with all medicines. Generally hydroquinone is well tolerated. Some of the more common side effects are skin irritation and dermatitis. Are There Natural Skin Lightening (Depigmenting) Agents? Yes. There is an increasing interest in more natural alternatives for treating pigmentation of the skin. These include products containing kojic acid, licorice, niacinamide (Vitamin B), Vitamin C, fruit acids and soy extracts. There are many ways to treat pigmentation. One method is to use a Pigment Reduction Laser. 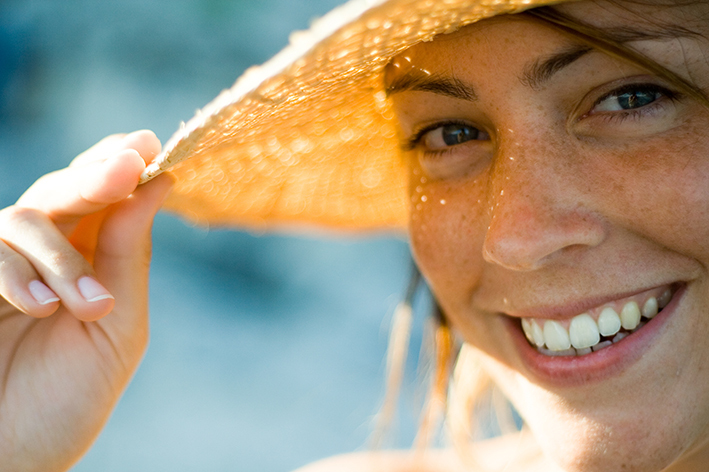 At Northern Sydney Dermatology, a Candela GentleMax® (755nm) laser is used to treat freckles and age spots. This laser targets the melanin (pigment) in the skin. It has a dynamic cooling device that delivers a cooling mist when the laser pulse is emitted. This helps with comfort during treatment. A few treatments are generally needed. Another laser that can help with pigmentation is the non-ablative Fraxel® Laser. This is also available at Northern Sydney Dermatology and is great for facial rejuvenation as well.